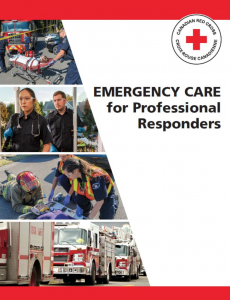 First Responder is a comprehensive 40 – 44 hour course designed for “first responders” – those individuals most likely to be the first rescuers on the scene of an emergency. The program reflects the latest advances in first aid and CPR. First Responder provides primary rescuers with the information and skills they need to respond to medical emergencies with confidence and care. Emergency Medical Responder the most complete and comprehensive training you can engage in before Para-medicine. This 80-hour course designed for those individuals that will called to be the first rescuers on the scene of an emergency. The program reflects the latest advances in first aid and CPR. EMR provides primary rescuers with the information and skills they need to respond to medical emergencies with confidence and care. Marine Advanced FA is a comprehensive 40 – 44-hour course designed for marine “first responders” – those individuals most likely to be the first rescuers on the scene of an emergency. The program reflects the latest advances in first aid and CPR. Akin to the First Responder level it provides primary rescuers with the information and skills they need to respond to medical emergencies with confidence and care. Topics include airway management, oxygen administration, spinal immobilization, advanced patient assessments (blood pressures), special populations, etc.